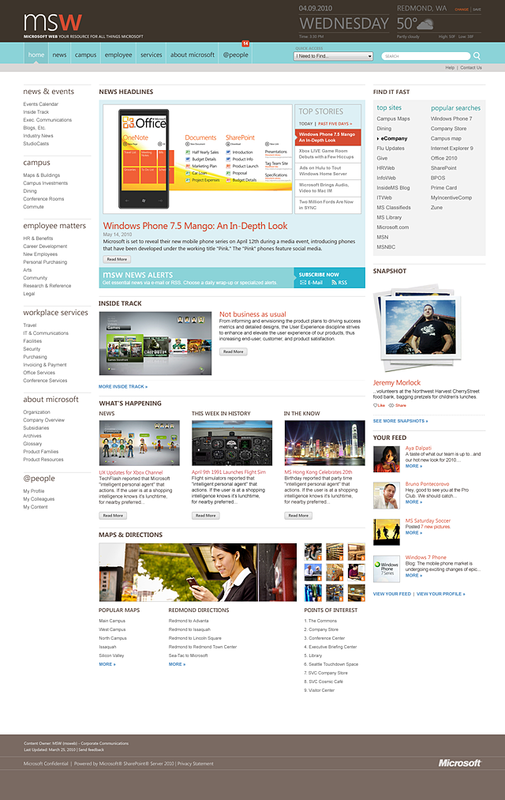 Microsoft asked us to redesign the interface for its global corporate intranet. 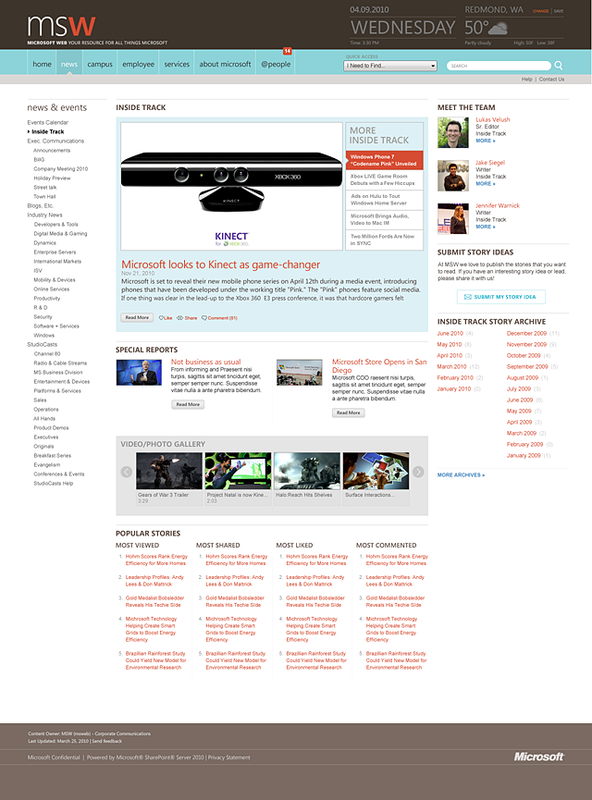 The design challenge was to create a visual experience that would be as compelling in Redmond as it was in Beijing. We took direction from the Microsoft Metro visual style and created clean design that surface region specific information for each user. Employees called the result "stunning" and "inspiring." "Well done! It’s beautiful. It’s functional. 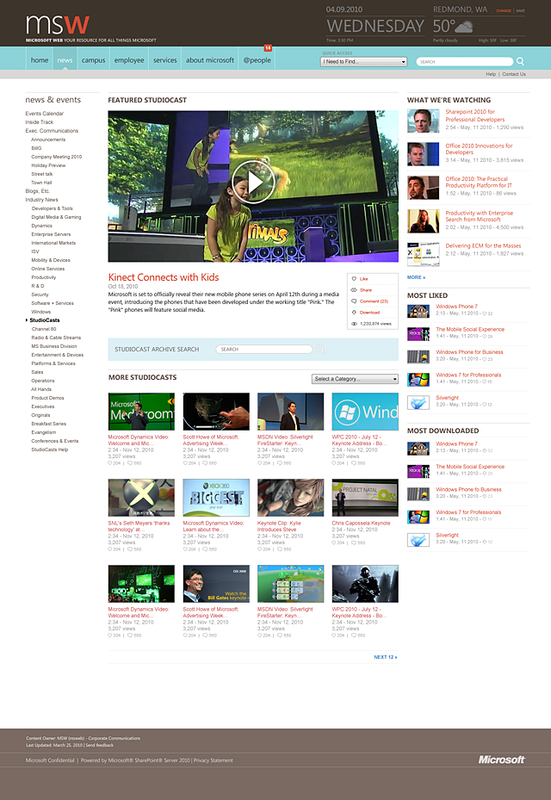 It’s inspiring, and it makes me proud to work here at Microsoft!"